Used to be a Windows user? You may want an Ubuntu equivalent of the Windows Task Manager and open it via Ctrl+Alt+Del key combination. 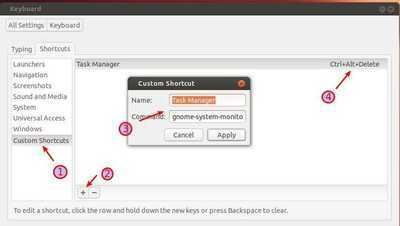 Ubuntu has the built-in utility to monitor or kill system running processes which acts like the “Task Manager”, it’s called System Monitor. 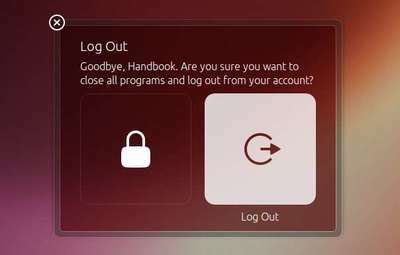 Ctrl+Alt+Del shortcut key by default is used to bring up the log-out dialog on Ubuntu Unity Desktop. It is not useful for users who are used to quick access to the Task Manager. To change the settings of the key, open Keyboard utility from the Unity Dash (or System Settings -> Keyboard). On Shortcuts tab -> Custom Shortcuts, click the plus icon to add a shortcut. Type in name Task Manager and command gnome-system-monitor. After it is added, click on where it says “Disable” and press Ctrl+Alt+Delete. You’ll get a dialog said “The shortcut key … is already used for Log Out”, click Reassign and you’re done! Thanks, I found it useful. Cheer the world of free softwares! Thanks for all your posts. It really helps me. I’m on Ubuntu 14LTS and this is not working after following exact instructions. This was super helpful! Thank you, I didn’t know this was possible–it helps me feel like I’m not missing out on anything when I use Ubuntu over Windows 10. It will work.. As it might not show enable but it will work..